Act out cute stories while you fold origami projects with this unique and easy origami kit. The joy in folding origami is often found in the deceptively simple magic of transforming a single piece of paper into a recognizable object. All too often, the steps it takes to transform paper into origami designs can be frustrating. Story-gami Kit is an innovative new paper craft kit from world renowned origami artists, Michael G. LaFosse and Richard L. Alexander who have created entire storylines around characters Righty and Lefty and their adventures climbing mountains, going on boat rides, and hanging out with bunnies. Each story's end results in a finished piece of origami, like an elegant butterfly, a jumping frog or a flapping bird and allowing anyone to discover the magic in creating something beautiful out of a simple piece of paper. Through the mnemonic of storytelling, LaFosse and Alexander make origami paper folding easy for those with any level of skill and a whole lot of fun. 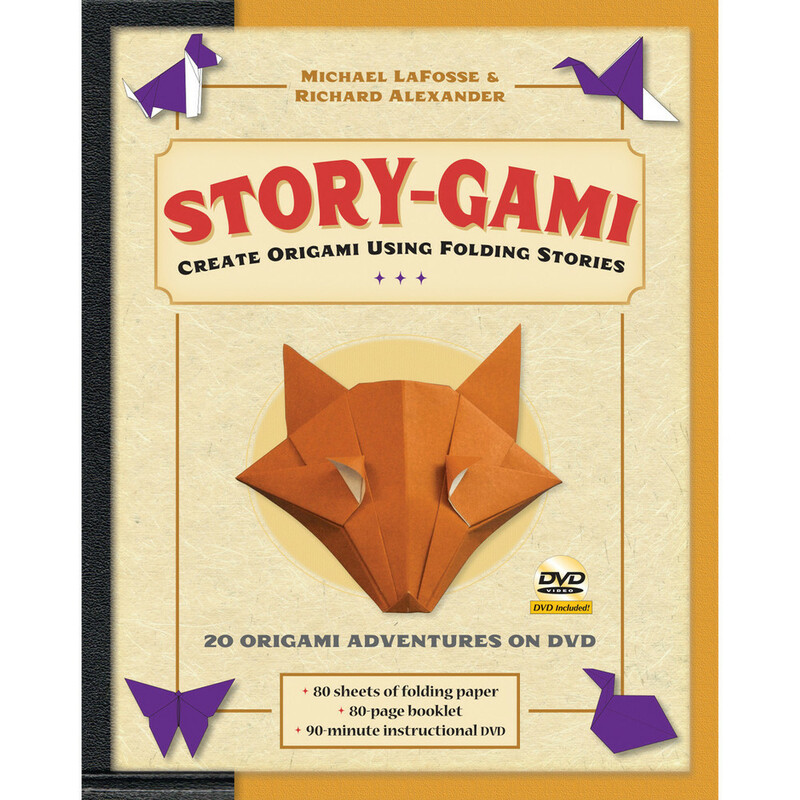 The unique method of storytelling makes this a great origam-for-kids kit and an excellent way to learn origami.